MGT Insulation, Inc.: Expert Insulation Solutions for Your Home or Business - MGT Insulation, Inc. If you find that your indoor air quality is causing health issues, your living or working space is always too warm or too cold, or your energy bill seems out of control, you’re not alone. Millions of homes and buildings in the Twin Cities area have insulation, ventilation, and energy problems that impact efficiency and health. AT MGT Insulation, we are dedicated to expertly providing health, comfort and energy saving solutions for your home or business. As a local, family-owned and operated business with over 140 years of combined insulation industry experience, we work seamlessly with you to create the best insulation solutions! Insulation services for every application, including attics, crawl spaces, sidewalls, basements and more. Air and attic sealing to ensure that leaks and openings are addressed and fixed. Attic ventilation systems that keep warm air from accumulating and creating costly and dangerous damage. Ice dam prevention and removal. Home Safety and carbon monoxide checks. 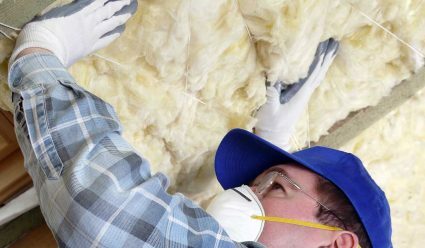 When you work with MGT Insulation, you’ll also get the best insulation products on the market – and experienced, highly-trained technicians who can help you choose the best insulation type for your specific application. Meet Our Insulation Experts, and Learn What Makes MGT Insulation Different! At MGT Insulation, we proudly offer comprehensive insulation, sealing, and services for every need. Let us help keep your home or business functioning safely and efficiently. With years of experience insulating everything from attics to garages, our expert insulators can help you choose the best products for every space in your home or business. Our process is always customized to your particular home or business space, your needs, and your preferences. No matter what, it always starts wit your concerns and ends with our expert solutions. Is your home or business drafty? Have you noticed hot and cold spots? Are your energy bills higher than they should be? Find out why with our FREE insulation evaluation and thermal imaging test.